Do you want to get back to your pre-baby body? Our classes can make this happen and then some. 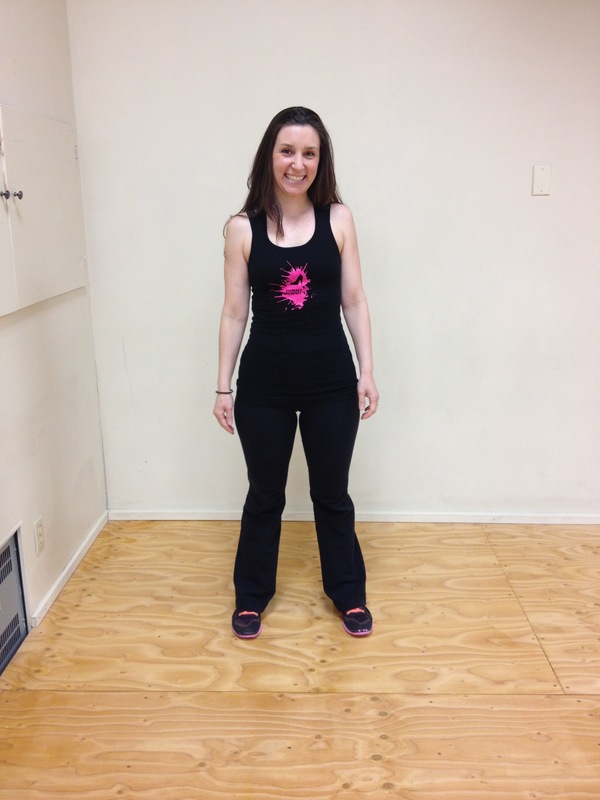 Karyn is a mom of 2 and was very successful on our Mission:Slimpossible program. She actually ended up WINNING the entire challenge!! Here are her before and after photos along with a more recent photo of her trying on a pair of shorts she wore pre baby #2. As you can see they are TOO BIG!!! 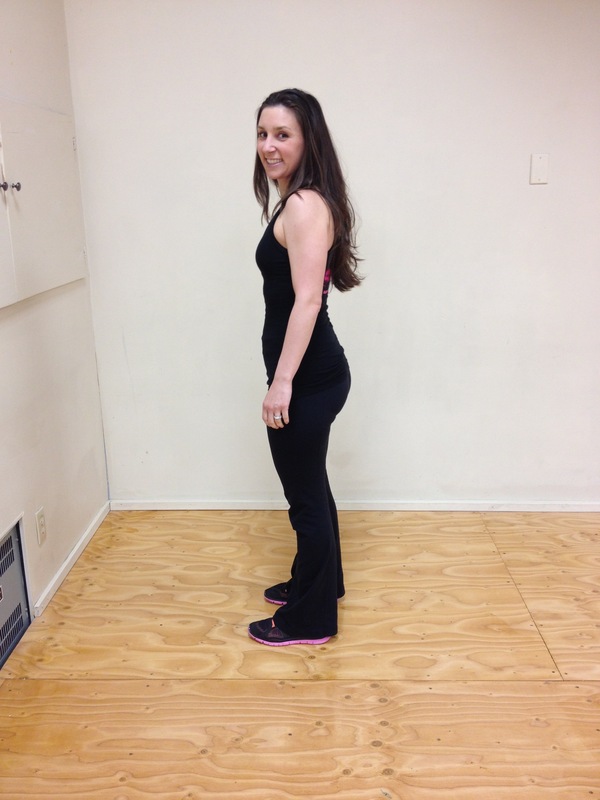 She weighs the same as she did pre-baby but has significantly lost inches. This is a great visual for those that are obsessed with the number on the scale because by the way these shorts fit, it doesn’t matter what it says on the scale. She lost INCHES!!! And that is a positive motivator. She is more toned and has more muscle then she did before and that is why her clothes are fitting differently. Recent photo where Karyn tried on her pre-pregnancy shorts and they were too big. CONGRATULATIONS Karyn on your success with your health and wellness journey and for winning Mission:Slimpossible. For the entire 17 week session of Mission:Slimpossible Karyn lost 11.5 inches!!! Below is a testimonial from her about her experience with our program. If you’re stuck in a rut or keep yo-yo dieting/exercising and want to see results, then you need to join our program. Inconsistency will not enhance your body. A regimented schedule will. Get in the mindset that you deserve this same success but also remind yourself that for permanent results, it takes time. There is no quick fix. Karyn has been working hard and the payoff is outstanding. Round up your support group and get fit together. After having my second baby I wanted to get back in shape right away as I had been very active before my pregnancy. 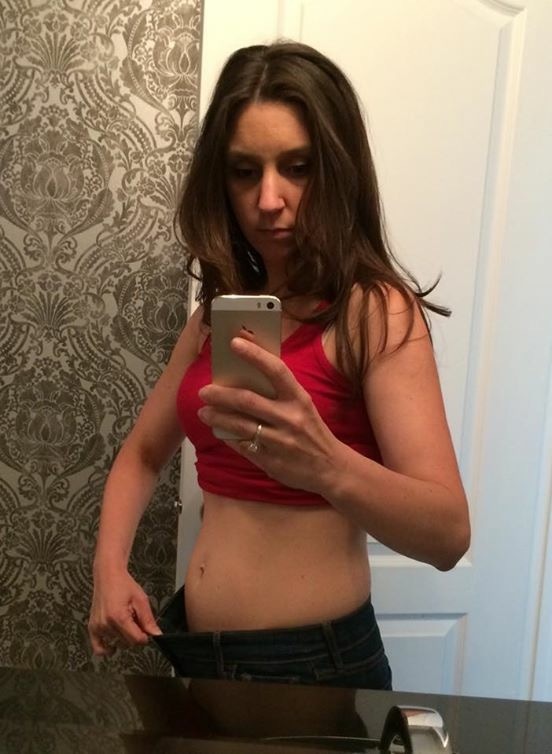 In mid June 2014, at 6 weeks postpartum I joined Fizzique’s boot camp and was doing the Weight Watchers program which I had previously done and had great success with. I found though that I wasn’t losing weight and inches as fast as I had hoped for. In January 2015, Fizzique offered Mission Slimpossible which included boot camp 2-3 times a week and a meal plan provided by Melissa Seguin – Holistic Nutrition and Registered Massage Therapy. Part of my success was in the January session I attended boot camp 3 times a week every week. I made sure to put it in my calendar as an appointment. If I was unable to make a class I made sure to attend a make-up class. We also started to use free weights in our workouts which I felt made a big difference in sculpting my body. I made sure I pushed myself each class and eventually I was able to increase the weights from 8lbs to 10lbs. Throughout the weeks I also made some great friends and we had fun during each workout talking and laughing. The meal plan included healthy whole foods and super foods which were known to aid in weight loss. Going into the program I was scared that the food would taste horrible and that I would be hungry. It actually ended up being the complete opposite. The food was actually good and I was never hungry. My husband and my baby also loved the food. The only tough part was finding the time to make all the meals. What I found helped me succeed with the meal plan was preparing as much as I could the night before. I also made large batches of some meals to use for leftovers or freeze for days when I was in a rush. Before the program I was constantly tired and felt I had no energy. I had gone to my doctor and had blood work done, but everything was okay according to my doctor. During Mission Slimpossible, I started to feel better. I was no longer tired and I had way more energy. Even though the program is over I am continuing with the meal plan and I am working out at home until the next session of boot camp starts up. I have incorporated healthy eating and exercise into my daily routine and I am very happy with the results!